London, May 21, 2018 (AltAfrika)-At least 15 people died in northern Somalia after heavy rains caused by Tropical Cyclone Sagar wreaked havoc in the Horn of Africa over the weekend. Tens of thousands of people are affected by flooding as details of the destruction slowly emerge. The cyclone slammed into a region that has suffered three years of drought. The lack of rain means the ground is almost devoid of vegetation, making it particularly prone to flash flooding. Most of the destruction has been felt in the Puntland and Somaliland regions of the East African country. The situation is further complicated by an ongoing conflict between forces from the two regions. An armed standoff in Sool had displaced almost 10,000 people before the cyclone’s arrival. The UN Office for the Coordination of Humanitarian Affairs said thousands of people had been affected by the flooding, displacement and the destruction of infrastructure in Sagar’s wake. 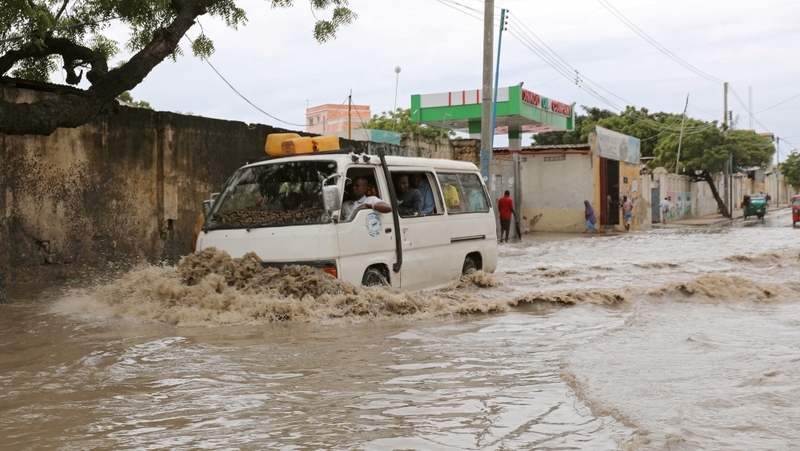 Mogadishu has been hit by heavy rains, causing major disruption as roads were washed away and the government relocated tens of families after their homes were flooded.